Measurement Of Spinning Drop Interfacial Tension Meter is research-based type from USA KINO, which adopts such technologies as removable and both-ends-fixed sample tube sampling mode (RBSM), full-self-sealed quartz glass tube (FSGT)，gas-thermal temperature control mode (GTCM)，and build-in heating system. The instrument can be used to measure interface tension down to 10-6mN/m for analysis of dynamic interface tension, interface rheology and interface viscosity (oscillating drop method), surface elasticity, relaxation study, etc. It can be applied in fields of personal care product, tertiary oil recovery, micro emulsion, surfactant and more. Under conditions of constant temperature and constant pressure, interface energy increases as interface area increases. The increment of interface energy per unit area is referred to as interface tension, which is formed for the different attractive forces of molecules on both sides of interface to molecules on the interface. Spinning drop interfacial tensiometer can accurately analyze low / ultra-low interface tension, while normal methods such as Wilhelmy plate method and Du Nouy ring method are incapable of measuring such low values. In general, interface tension of 10-2-10-1mN/m is referred to as low interface tension, and that of below 10-3mN/m as ultra-low interface tension. To measure ultra-low interface tension, the original balance between gravity and interface tension should be artificially altered to enable the shape of balanced droplet can be easily measured. Making system rotate to increase action of centrifugal force field is the measurement principle of spinning drop method. As shown below. It’s recommended to purchase full auto surface / interfacial tensiometer A601 / A101 for higher accuracy when the interface tension is above 1mN/m. Measurement Of Spinning Drop Interfacial Tension Meter upgraded from original microscope observation based meter such as model Texas 500 to drop shape analysis based spinning drop interfacial tensiometer. TX500K, with more functions and more application fields, can be able to complete more convenient, more accurate and sophisticated measurements. TX500TM, as one of classic brands from USA KINO, provides clients comprehensive solutions for interface chemical analysis with our most professional technologies. Full-automatic interface tension measurement, for Measurement Of Spinning Drop Interfacial Tension Meter. World-leading full-automatic interface tension measurement technology: software will implement capture, image storage, calculation and displaying measured interface tension automatically at the touch of your finger, effectively avoiding errors caused by human. Furthermore, interface tension values varying with time, rotation speed, and temperature can also be measured, real-time displayed and exported. Series TX500K uses high-speed brushless DC motor, which guarantees long lifetime, large power, little noise, and accurate of centrifugal control. The control accurate of speed by software can be up to 3 RPM when speed reaches 15000RPM. CVT system enables control of 1RPM, with which USA KINO provides clients a well functional contrifugal control system. 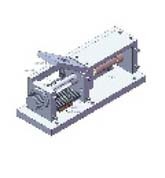 Reading of rotation speed is by raster encoder up to 500 lines, far higher accuracy than that of control modes with one or several raster points. Measurement Of Spinning Drop Interfacial Tension Meter Heating and cooling system made of new longevity material and high-precision digital semiconductor temperature sensor from U.S.A. for more precise temperature control. (1) Water circulator or Peltier temperature control system is optional to control temperature lower than room temperature. (2) Digital semiconductor temperature sensor has self-calibration function with resolution of up to 0.01 ℃ and measurement error of 0.2 ℃. (3) Heating system adopts full-surface heating radiator for well-distributed heating to sample tube, avoiding ruptures due to partial heating. (4) Our system successfully reduce the impact of temperature control to interface tension analysis. Newly-developed sample system with both sample tube ends fixed and sample tube removable comprehensively solves a series of problems, such as horizontality preservation of sample tube, convenience of dosing, as well as all kinds of unexpected problems during process of sample tube plugging. 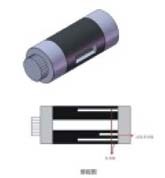 TX500K can effectively control temperature of sample tube, enhance heating efficiency and offer a solution for such defects in Texas500 and TX500C as when air temperature surrounding sample tube is actually 38℃, it will be displayed 45℃ on TX500C, while if that is 65-70℃, it will be displayed 85℃. Heating tube and temperature sensor are installed on the same heating aluminum alloy in TX500C&Texas500, so it means the sample tube is heated by heating source with constant temperature, which results heating inefficient and inconformity between control temperature and actual temperature. In heating system of measurement of spinning drop interfacial tension meter, temperature sensor is mounted on the air that surrounds sample tube and the tube is heated via air, which improves heating efficiency and coincidence between control temperature and actual temperature. The sample tube is self-sealed, both ends opening, and more convenient to dosing and easier to exhaust. 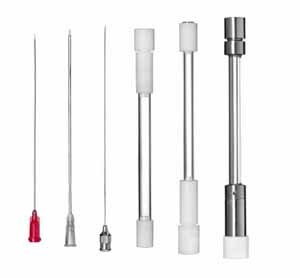 Combining professional PTFE needle of 10cm length from USA KINO, it enables more easily to feed liquids sample (e.g. kerosene, gas oil crude oil) without oil drop moving out when needle is pulled out. 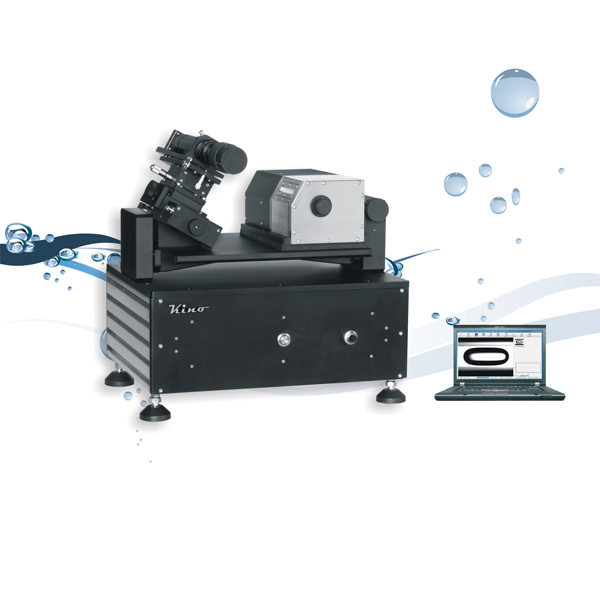 TX500G is a kind of interfacial tensiometer from USA KINO with dynamic seal technology, which can automatically inject surfactant - polymer (oil drive) and crude oil. And it can be upgraded to dosing different samples at the same time with accuracy of up to 0.02uL, as well as complete automatic sample mixture and critical micelle concentration (CMC) measurement simultaneously. USA KINO’s exclusive illumination-adjustable cold LED background light source can solve the problem of edge distortion of images with single brightness so as to get sharper drop shape and more accurate measuring result. It also can be illumination-adjustable for better edge detecting resolution; meanwhile coaxial light source is available for clearer imaging and extensive applications. Cameras with higher resolution (e.g. 130M pixels) and higher speed (e.g.100FPS) are optional available. System made of aviation aluminum alloy and 4-axes positioning stage for lens positioning (XYZ and rotation) enables control of field of view and focus distance more easily. It can control levelness of sample tube, facilitate process of controlling movement of oil droplet (gas phase) and reduce distance of movement. (1) Different modules are available for option: gas-thermal module, water circulator module, dynamic sealing module, or module with contact angle analysis, and also different light source systems, such as stroboscopic light source (automatic flashing like general camera when taking pictures) or coaxial light source, etc. (2) Better after-sales service: independent modularized design can enable you simple maintenance, and local first-grade agents all stock main parts, so only 24-hour is needed for once maintenance. (3) More convenient to upgrade: you can purchase part or all of analytical functions, all can be upgraded on demand. Brand-new communication port of USB 2.0 with better compatibility and higher speed. In new variants of TX500 series, motor control, temperature control and video system all adopt USB2.0 port, which effectively avoid the port compatibility problems due to computer upgrade. Some existing newly designed computer and laptop do not have RS232 serial port and PCI port at all, TX500K have no problem to compatible with them. (1) Wizard design of standard windows is designed for various measurement operators. (3) Measured data is Excel exportable for you to create your measurement report conveniently. (4) Secondary modification of eigenvalue. The software will record all your operation traces for you to check measured data, effectively avoiding errors caused by human. (5) Comfortable language interface designed by unicode enables more convenient and compatible for you to operate. 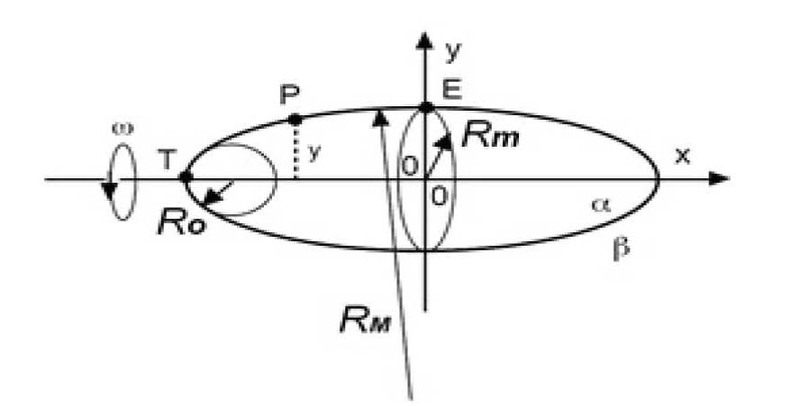 Interface tension calculation method that based on distance between two drop boundary lines rather than two points improves measuring accuracy. CAST 4.0 for control of oscillating drop; interfacial tensiometer of TX500H for contact angle measurement of rock core; interfacial tensiometer of TX500G for precise temperature control and automatic dosing. 1. Automatically measuring upper and bottom boundary lines, calculating distance between them, then calculating IFT, and finally exporting all data into database for management. 2. The measured data can be manually adjusted, and the operation traces will be saved. Historical data can be regularly saved and managed by database: one-to-one correspondence between data and image; query, adjustment, operation traces recording, as well as Excel and BMP exporting. 1.The above production pictures and technical specifications are subject to change without notice; and the latest confirmed product information shall prevail. 2. All rights reserved by USA KINO Industry Co.Ltd.